Can you belive the 4th of July is just around the corner? Where the heck has this year gone?? Being a military spouse, the 4th of July is always an exciting time of year. For us personally- the 4th of July is also OUR holiday! It is the only holiday celebration that Ryan has been home for since we’ve been married year after year. So it is special! Today I’m sharing my 4th of July nail art with some Sinful Colors shades for this year which I’m especially in love with. 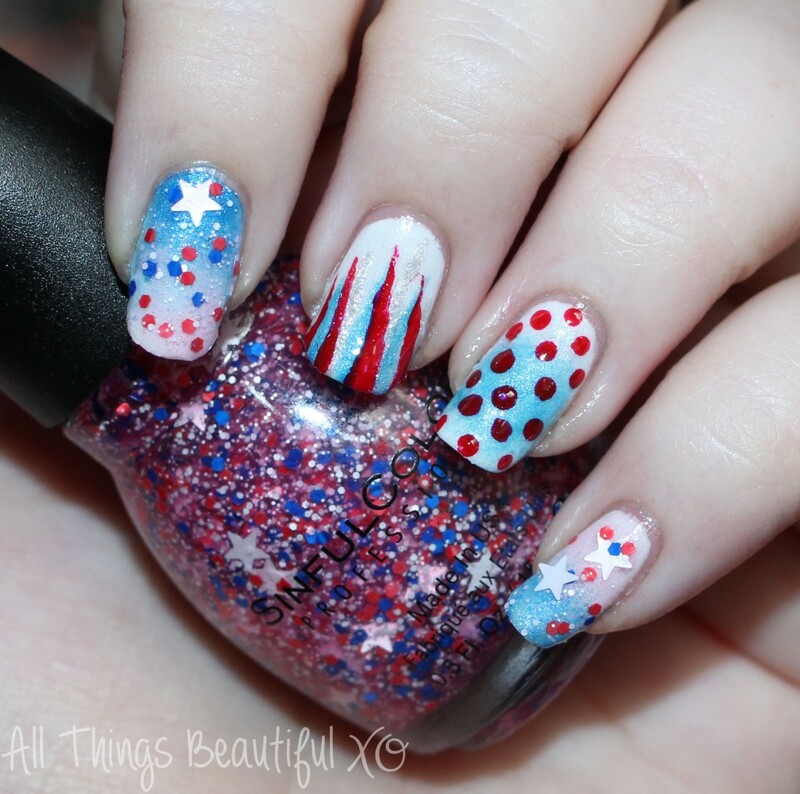 Sponging, ombre, glitter, stripes, stars…YES! Keep reading to check it out! 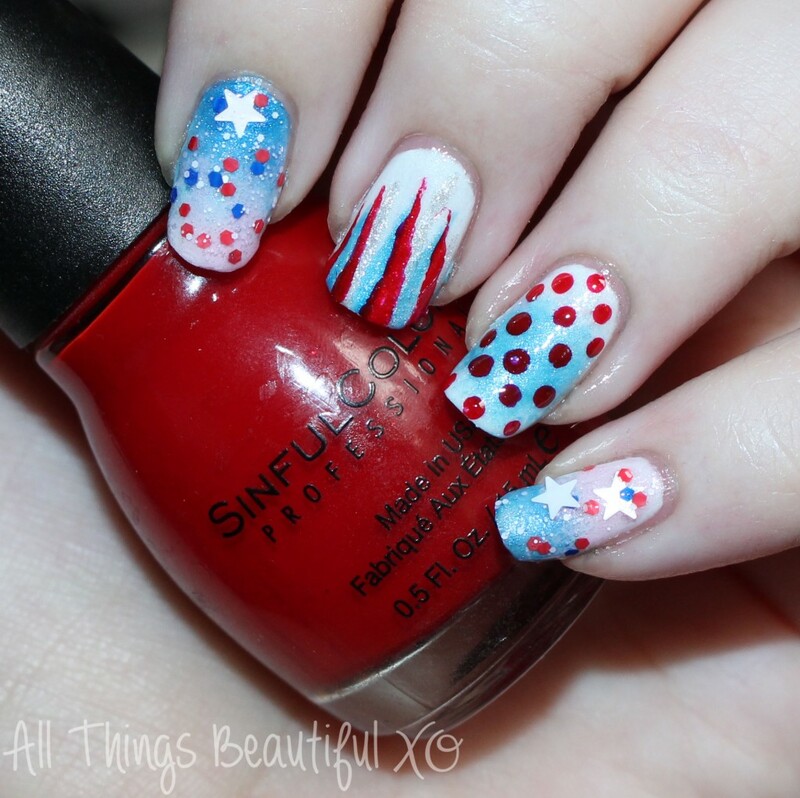 For this look I used a white base & the 4th of July collection from Sinful Colors. Here I used Sinful Colors Star Blast Off, Out of This World, Ruby Ruby, & Keira Blue. Sinful Colors Keira Blue- A fine shimmering blue with a bit of glow. Sinful Colors Ruby Ruby- A classic red. Sinful Colors Out of This World- A metallic silver, a bit sheer. Sinful Colors Star Blast Off- A mix of matte red, white, & blue hexes in varying sizes with matte white stars in a lightly red tinged clear base. Here’s a closer look at my favorite finger- the pointer! I just love how this sponged ombre turned out with the touch of the lightly red clear base at the tip. Plus I like the star placement! You can purchase Sinful Colors at Walgreens for $1.99! 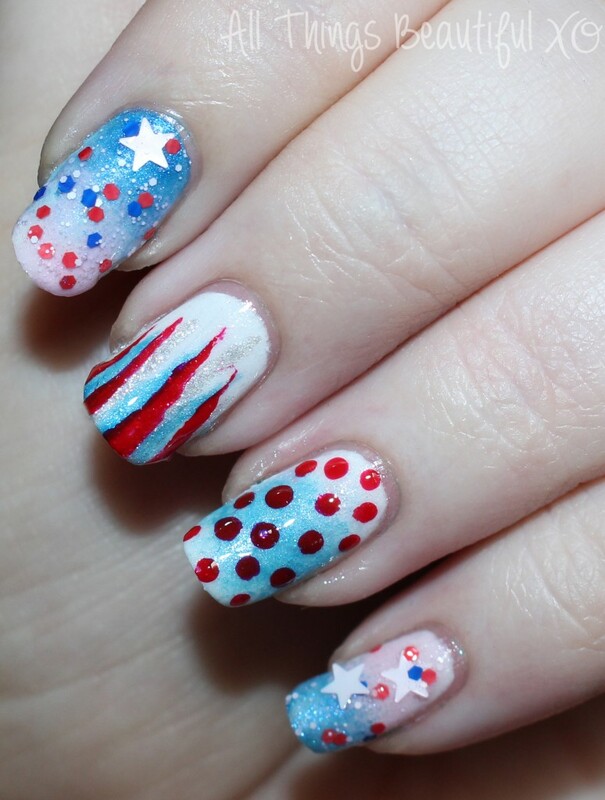 Love these for a fun 4th of July look! 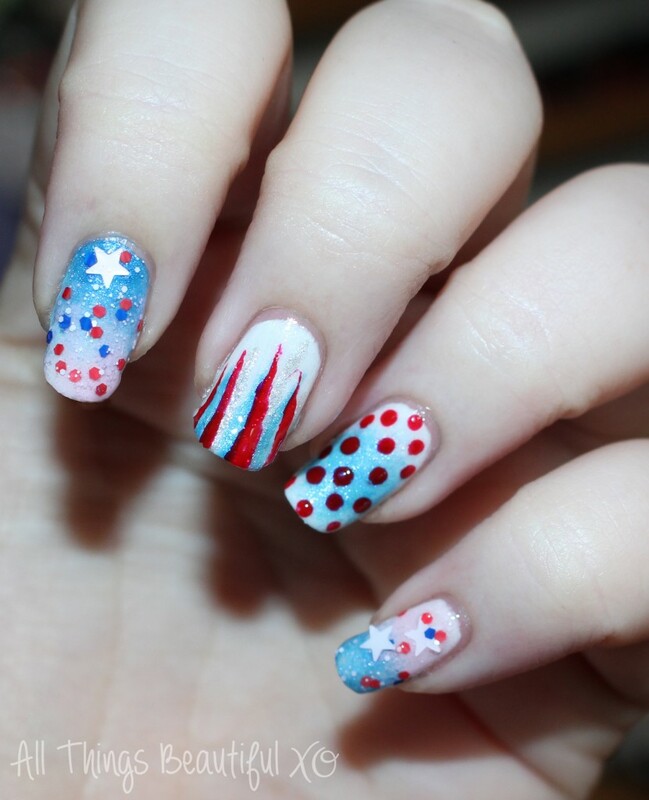 So if you’re in the USA, what do your nails look like for the holiday?